A visual tribute to the amazing town that is Brighton, a constant source of amusement and inspiration for it’s quirky and creative inhabitants. 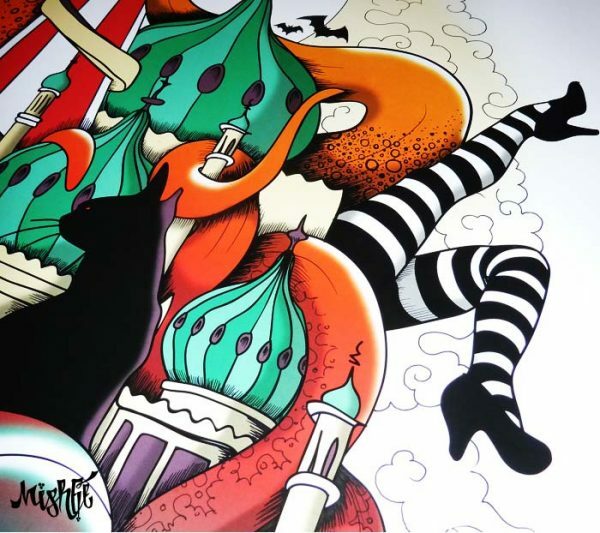 The print features iconic Brighton landmarks such as theRoyal Pavilion, the Duke of York Legs, and of course the Place Pier’s favourite resident the Helter Skelter. If you love Brighton, then this print is for you! 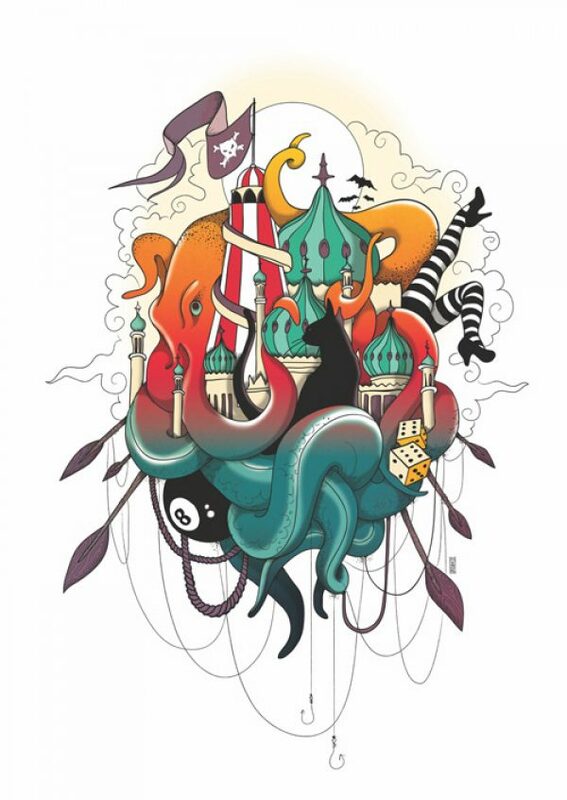 Inspired by nautical exploration and the concept of “here be dragons”, this vivid and lively illustration portrays the city of Brighton as a ship, sailing it’s way through the ether. Unsure of it’s direction but enjoying the journey and collecting inhabitants along the way. Hop on and come along for the ride. 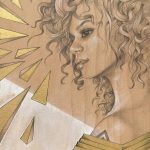 This is a stunning Giclée print, signed and numbered by the artist. Printed on gorgeous 310gsm Hahnemühle Photo Rag Ultra Smooth. A natural white, 100% cotton paper with an ultra-smooth surface texture which guarantees archival standards. There are 2 sizes in 2 colour schemes available, both as limited edition runs of 25, Snap one up before they’re all gone! Packaged up with love and available for local collection, UK or Worldwide postage.